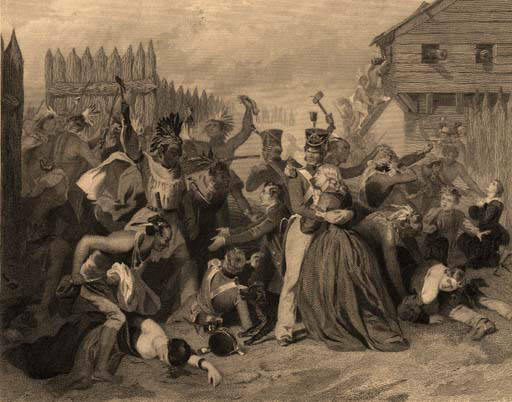 The Fort Mims massacre was a battle that occurred on 30 August 1813 during the Creek War, when a force of Creek Indians, belonging to the “Red Sticks” faction under the command of head warriors Peter McQueen and William Weatherford, or Lamochattee (Red Eagle), stormed the fort and defeated the militia garrison. 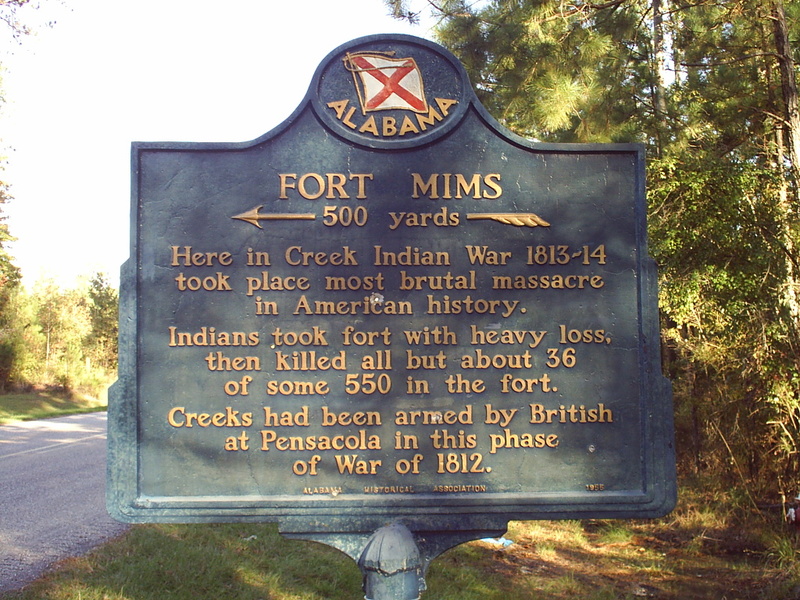 After the defeat of the garrison there ensued a massacre and almost all of the remaining Lower Creek, white settlers, and militia at Fort Mims were killed. The fort was a stockade with a blockhouse surrounding the house and outbuildings of the settler Samuel Mims, located about 35 miles north of present-day Mobile, Alabama. 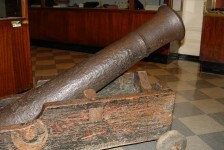 Fort Mims is located approximately seven miles west of Tensaw in Baldwin County, Alabama. Below is a transcription of a letter from Dr. Neal Smith from St. Stephens, Miss. Territory, to James Smiley, discussing the fall of Fort Mims and General Claiborne’s battle with the Creek Nation at Holy Ground, Miss. Territory. Dr. Neal Smith was a doctor in Clarke County, Alabama. The original letter is at the Alabama Department of Archives and History. In the letter Dr. Smith discusses the fall of Fort Mims and a battle led by General Claiborne against the Creek Indians at Holy Ground. Though the letter is dated 1813, it was probably written in 1814: he says that the fight took place on December 23, and the Battle of Holy Ground of the Creek War took place on that date in 1813. He wrote the letter in early January, so he may have forgotten to use the new year. A few days after the fall of Fort Mims I wrote you a few lines stating to you that circumstance and the distress of the citizens in this part of the country. I now write you a second letter which I hope you will receive and give an answer in return. The troops in this part of the country are now idle as they have just returned from taking tower [tour] through the Indian Nation. On the 23rd of December last, General Claiborne with the forces under his command which was composed of the 3rd Regt. the twelve months Volunteers, the mounted Riflemen from the west of Pearle River and the Indians of this part & composing in all eight or nine Hundred-had a small Battle within the Creek Nation at the place called the Holy Ground; they killed about twenty Indians and Negroes on the grounds on the part of the whites one killed and five wounded. Amongst the slain of the Indians was found one of the Shawnee Prophets who was said first to have raised the disturbance with the whites, a singer in the Creek Nation – and the leading prophet of the Creeks was said to have been mortally wounded and dropt a noted gun which was well known. They also destroyed two other small towns Weatherfords & Menacks one Negroe and two squaws were taken prisoners. Those credulous savages, through the influence of their Prophets was induced to believe that the wholy ground was their place of safty where they should stand and see the whites and the ground on which they stood fall when ever they would come to attack them. They therefore made it a place of deposit for all their valuable plunder which was destroyed and taken away and amongst the rest from twelve to fifteen hundred Barrels of corn In the midst of the public square as an ornament to their new town was histed a great number of white scalps of every description from the infant to the grey head. The whites had it in their power to have done much more damage to the Indian had they not have been disappointed by an infamous character who was employed as a contractor and deceived the whole troops in furnishing them with provision—they had to live eight or ten day on bread alone and part of the time on parched corn alone. During the campaign I acted as surgeon to the militia and I am now preparing to settle again at the Pine Level and return to my private practice which is much more agreeable than taking campaigns through the Indian Nation or warfaring. Give my compliments to my sister and Brother tell them that I shall not go to Carolina this season and if I do not get married it is probable that I shall go and see them in the spring. Yours with all due Respect etc. Below is a picture of Dr. Spruce McCall Osborne Osborne was a second lieutenant and an assistant surgeon in the United States Army. He was killed in the massacre at Fort Mims. 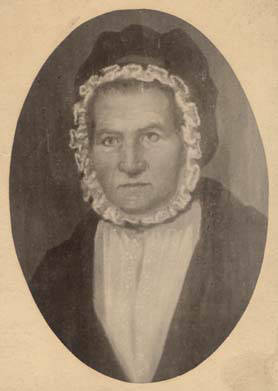 Read another account of Fort Mims massacre by Margaret Austill, Jeremiah Austill’s wife. Just a note: When the Indians won a battle it was called a massacre..when the others instigated a massacre it is called a great victory. I fully understand the fury from either adversary. Just a note. I am not trying to take sides. History is that history. If a settler most of us would have fought as savagely as needed to get our revenge and to gain the upper hand on land expansionist treaties. If Indian we would have fought to the bitter end to retain our culture and way of life. Against a culture that had so many technological advantages the tribes were doomed. All that could be done was to try and retain some of their ancestral land holdings. Also: although both sides were prone to outright barbarity and savagery due to evolutionary cultural differences the Indians practiced it more. That is burning at the stake and killing of non combatants. I am just glad that this is a part of history…look at it this way: what would the settling of the frontiers have been like had there been no Indians? It would have just been a conquest of Nature’s wilderness. So much has been brought to us via this historical experience. As for major defeats of the U.S. and colonial/militia see the defeat of General St.Clair in 1791 at the hands of the Shawnee headed by Blue Jacket and Little Turtle. The U.S. forces suffered 600 soldiers killed, 30 female camp followers (wives, mistresses and whores) and 300 wounded. This was the greatest victory of the Indians and what Tecumseh with his confederacy also hoped to accomplish. “To drive the Whites back into the sea from wench they came.” I can not blame a people for fighting for what they view as theirs the same as my ancestors fought the jun hordes of blue bellies. Was this Peter McQueen the son of James McQueen of Scotland who tried his best to repopulate the Red Creeks? James McQueen lived to be something like 125 years old. This was the greatest native American victory against US expansionism; even more so than Custer’s defeat on the Little Big Horn. Got to visit the site when shooting video for Ala Power in the mid 80’s. I felt a cold spot and asked the ranger if that was where the fort gate doors were and he said yes. At the massacre at Horseshoe Bend, they killed 800 or more. To get an accurate casualty count, they cut off the noses of those men, women and children they killed. They being the US forces under Gen Coffee, Andrew Jackson and Sam Houston. Davy Crockett participated in the massacre of a Creek village just before this battle, along with Coffee, but Crockett sat out the battle of Horseshoe Bend. I am glad Indians won a battle…but the Indians lost the war…and were treated badly.. Sad how they were treated, outsiders coming in and taking over, kind of like whats going on now in our country. Bad is bad, no matter what side it is on and most people don’t know the true reason why we were at war with the Indians. Propaganda is propaganda! My gggg grandfather and his 16 year old son were both killed and scalped while they were clearing land he had been granted for service in the Revolutionary War! They were not harming anyone. They were just clearing the land and building a cabin. My gggg grandmother was left a widow with five young children. There are two sides to every dispute! The “Red Sticks” were vicious terrorist who caused the Indian Wars. The “White Sticks” were the peaceful ones who wanted to get along with the white settlers. They still own land here in Alabama. They are the Poarch Band of the Creek nation. They still have property here in Alabama and they are good neighbors and love their State! And their State loves them! Oh, and by the way, my gggg grandfather and his 16 year old son were killed and scalped on their on land in Georgia long before the Indian Wars happened! Never believe everything you hear or read in a History book that wants to demonize people from a certain part of the country! not trying to start another WAR, but the “land” granted to you ancestor really wasn’t the governments’ to begin with. the LAND belonged to the INDIANS, and the white man TOOK it. those SAVAGES, as oyu described, were the REAL owners of the land. they were jsut trying to defend their rights as land owners. if it were your ancestors as it was the indians, the same would have occured. as for the RED STICKS versus the WHITE STICKS…..they were still the CREEK NATION. RED EAGLE was half white (scottish man was his father, he had red hair and beard) was defending his bands land. i know, i have talked to ancestors of his. i USED to live in baldwin and mobile county and worked for baldwin county. i know where red eagle is buried, beside his mother. John, the land belonged to the British crown, not the Indians! The Indians were “squatters” on British Land! Who do you think we fought for the land? Why do you think that the pilgrims took a chance to come to a new country where there wasn’t so much as a house to sleep in and where they had to make most of their supplies because there wasn’t a corner store to go for anything! It’s clear that you don’t know much about our Nation’s history. They tried to live peaceably with the “Indians” and did. The White Sticks are still here! My gggg grandmother was one of them! I realize these are are old comments, but this Jane person has posted so many untruths that I feel compelled to comment. Jane, you are clueless. Nothing you posted is true. Nothing! You have no understanding of the ‘red sticks’ or ‘white sticks’. It was nothing like you described. The Poarch were NOT white sticks’ as you claim. Again, you obviously have no understanding at all what it means. Most offensive of all is your sickening comment that the Indians were “Squatters” on British land. My people were living in the Southeastern part of this country for centuries before any European ever visited. You sprout nothing but untruths and insult others for not knowing their history? What a horrid person you must be. 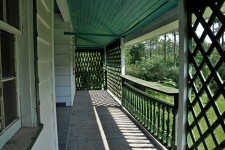 I had family at Fort Mims and also among the attackers. In fact, I had a 4x Great Grandfather on both sides of the attack. It was a terrible event. 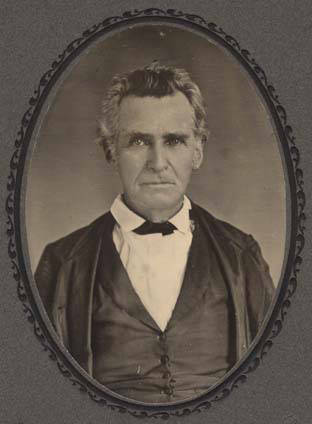 My great great grandfather, Dr. John Watkins, of Burnt Corn, Alabama, narrowly escaped the Fort Mims massacre. He arrived in the area shortly after the incident and administered aid to the wounded. One young girl, who had been scalped, Elizabeth Stroud, recovered at the home of my great great grandfather and lived with them for several years afterward. Dr. Watkins treated a survivor of the Ogle Massacre as it was called. The event took place in what is today Lowndes County. The survivors headed for Dr. Watkins, then at Weatherford’s Ferry (Claiborne). 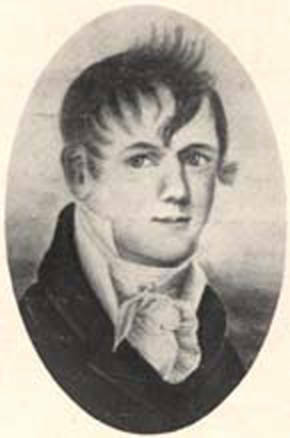 The man responsible was Jack Hague, more commonly known as Savannah Jack. Dr. Watkins treatment of the young woman, Elizabeth Ogle, had nothing to do with the Ft. Mims attack. Part of my family fought and died here. Part of mine also. On both sides. And then the changed their name to the “peaceful” Seminoles. Lynn Hyde Cartee… You commented that the massacre at Fort Mims was after the battle of Horseshoe Bend. This is incorrect. 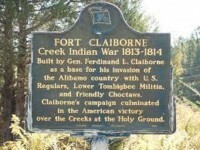 The Fort Mims massacre occurred August 30, 1813, while the Battle of Horseshoe Bend was March 27, 1814. The man defending Fort Mims to the death was half Creek and half European. The man leading the attack, William Weatherford aka ” Red Eagle” was 1/8 Creek and 7/8th European. 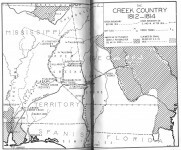 It was basically a political war over who should live, farm and homestead in Alabama and those who wanted all homsteaders and/or “whites” to leave. . Folks seemed to have gotten along fine until the French and Indian War (between the French and English over control of the continent of America: any native groups were basically disregarded by Europeans as they were “Pagan” and did not count. The British was supplying gunpowder, paying $50 a scalp (a fortune in those days) for every “patriot” scalp whether from a man, woman or child. This created problems and hatreds that never ended. It became a fight for survival on both sides: really among those who wanted assimilation and homesteads and those who did not. Both sides were mixed blood in Alabama! Native American Historical Figure. It is believed that he was born in what is now the state of Alabama into a wealthy family that consisted of his father, a Scottish trader, and his mother, a Creek Indian also of mixed heritage. As a result of this mixed lineage, he was only one-eighth Creek Indian. In the Creek nation descent was determined by the mother and his white father was of no concern to the other Creeks. He was therefore able to rise to become a chief of the Creeks. His war name was Hopnicafutsahia, or “Truth Teller,” and was commonly referred to as Lamochattee, or “Red Eagle.” Chief Red Eagle was reluctant to go to war, but once in battle he was a fierce warrior. During the war of 1812 he led the Creek nation against the Americans. He led his people in an attack on Fort Mims, a temporary stockade near the confluence of the Tombigbee and Alabama Rivers. The battle raged for about four hours and became known as the Fort Mims Massacre. The loss for the Creeks may have reached into the hundreds, but the loss for the Americans was complete. Weatherford may have made an attempt to halt the massacre but his warriors were like “famished wolves” he reported later. American losses were estimated as high as five hundred. News of the massacre spread quickly and galvanized the southwest. Andrew Jackson who was hampered by a wound he received in a recent dual, with the bullet still in his body, his arm in a sling, and so weak that at times he had to be helped on his horse headed south. Jackson dispatched a force of 500 troops under his trusted lieutenant John Coffee to the Creek village of Tallushatchee. The troops lured the Creek warriors into a trap and fought as long as a single warrior existed. In the end all 180 warriors were slain and only 5 troops were killed. No sooner had Coffee returned than Jackson received word that Weatherford and a thousand of his braves were attacking Talladega, thirty miles to the south. Jackson headed south with 1200 infantry and 800 cavalry. Jackson surrounded Talladega, but his efforts to emulate the Tallushatchee success failed and Weatherford and 700 of his warriors escaped. That left 300 of his people dead and Talladega saved. The American losses were 15 dead and 85 wounded. On December 23, 1813 General William Claiborne surprised Weatherford in the village of Oconochaca. 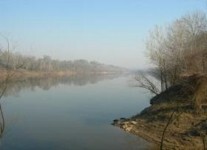 Weatherford escaped only by urging his horse to make a legendary, and often recounted, jump off a bluff into the river. Weatherford and about 3000 warriors were hold up in an encampment known as Tohopeka, or Horseshoe Bend on the Tallapoosa River. This time Weatherford brought the battle to Jackson as he approached Horseshoe Bend. The Indians attempted to attack in three places simultaneously. Unfortunately for them, one of the forces failed to engage and Jackson was just barely able to hold them off., but was forced to retreat. Weatherford’s forces struck again and once more the attack was furious; Jackson rallied his troops and prevented them from being routed. Jackson could not claim victory, but the Creek losses far outweighed his. Jackson managed to piece together a larger force and with about four thousand men, including some Creek, Cherokee, and Choctaw allies marched again toward Horseshoe Bend. Weatherford and about 1000 braves and 300 women and children were fortified there. They were almost completely surrounded by the river and had enclosed the rest of the camp with a breastwork of logs five to eight feet high with many portholes. 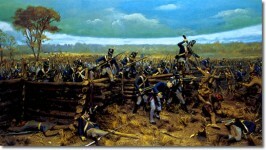 At about 10:00 in the morning of March 27, 1814 Jackson began his attack. The Battle was fierce and raged on through the afternoon. Jackson later told his wife, “The carnage was terrible.” Jackson sent out a flag of truce and it was fired upon. By night fall only a few warriors had escaped across the river. 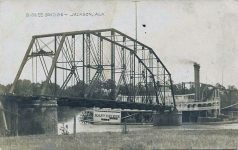 Jackson counted 500 dead on the ground and an estimated 300 more in the river. But their leader William Weatherford, Chief Red Eagle, had been absent from Horseshoe Bend. Word went out to the Creek to surrender and sever ties with the British or be annihilated. Many turned themselves in, but Weatherford’s whereabouts remained a mystery. Jackson demanded they turn their leader in to show good faith. But before they were forced to do so he walked boldly into camp. This was exactly the sort of brave act that would impress Jackson. Weatherford said, “My warriors no longer hear my voice. Their bones are at Talladega, Tallushatchee, and Tohopeka. … I now ask for peace for my nation, and for myself.” He set about convincing the remaining holdouts to surrender and the Creek War came to an end. He was pardoned by Jackson and became a prominent citizen and wealthy planter in Monroe County, Alabama. HopeLily, this is really interesting and important history. 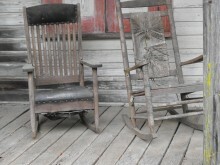 William Weatherford is an ancestor of mine through Aunt Myrtle Weatherord. Me too. Through my mother’s side. He was Creek/Scottish – his Father was Scottish. Scots liked to marry indians unlike a lot of men. But Red Eagle did give himself up to the white leaders later. Kera Smith, more history for the kids! Kera Smith south Alabama I think fort mims! strange how this was called a massacre but Horseshoe Bend was a battle..guess it depends on who writes the history,,..